DUCKS caused confusion and delight at Auckland St on Sunday afternoon. 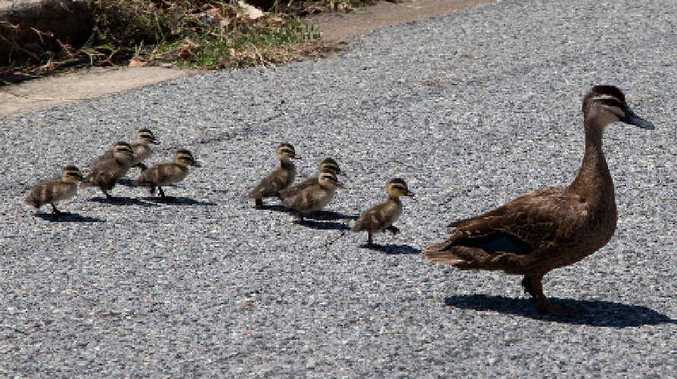 A mother duck and her ducklings were spotted crossing Auckland St. They then waddled down Short St, where they met a barking dog in its backyard. They made it back to the road, where neighbours greeted them with cameras, before the ducks continued on their journey.